Best Tuner for Mustang Reviews: 5 Top-Rated in April 2019! You might have any model dating from the original in 1965 to the latest 2019 Bullitt, whichever model you have, there are always more ways to improve performance. While some will call this sacrilege, other will claim its necessary. Sort of like taking a top athlete human and juicing him/her with steroids. No matter which school of thought you belong to, the fact is you can upgrade Mustangs as you upgrade any vehicle. There are three ways to perform an upgrade; the first is to install aftermarket parts which are designed to increase power and performance. The second is to use a tuner for improving the specs of the vehicle through its electronic interface, and the third option is to perform both. I won’t delve on aftermarket upgrades; this article is all about the best tuners for Mustang tweaking. 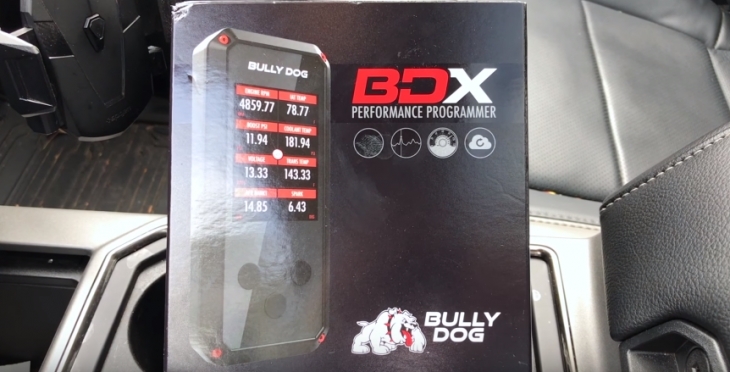 A bespoke tuner will increase your power and torque, improve your throttle response, provide a more aggressive shift point in automatic models only, and optimize for fuel economy. The bottom line of a tuner is to pull out every ounce of power and performance from the engine and parts you already have, or replaced with aftermarket parts. A tune, when applied properly will increase your Mustang’s power and performance range from 12-35 HP/TQ. Take heed that tuning your Mustang will void its warranty, and understand this, Ford has proprietary software that will know when you tuned, and how many times you tuned and restored. Take heed: Never buy a tune from an unknown source, and never tune by yourself. Custom tuning is for professionals that understand the nature of the entire operation; one change can destroy your performance, let alone an entire range of changes. From 1996 and onwards, Mustang cars come with PCM ODBII connectors, so for these models, you only need to plug and play. Anything older will require a special treatment not provided by a tuner. There are two variants for tuning; one is the use of chips, which come with preset tunes that you can employ at the flick of a switch. These are closed circuits, which means you cannot make custom adjustments. The second variant is Tuners, which come with open circuits that allow you to make custom changes to specific options. Now let’s look at the 5 best Mustang tuners on the market today. 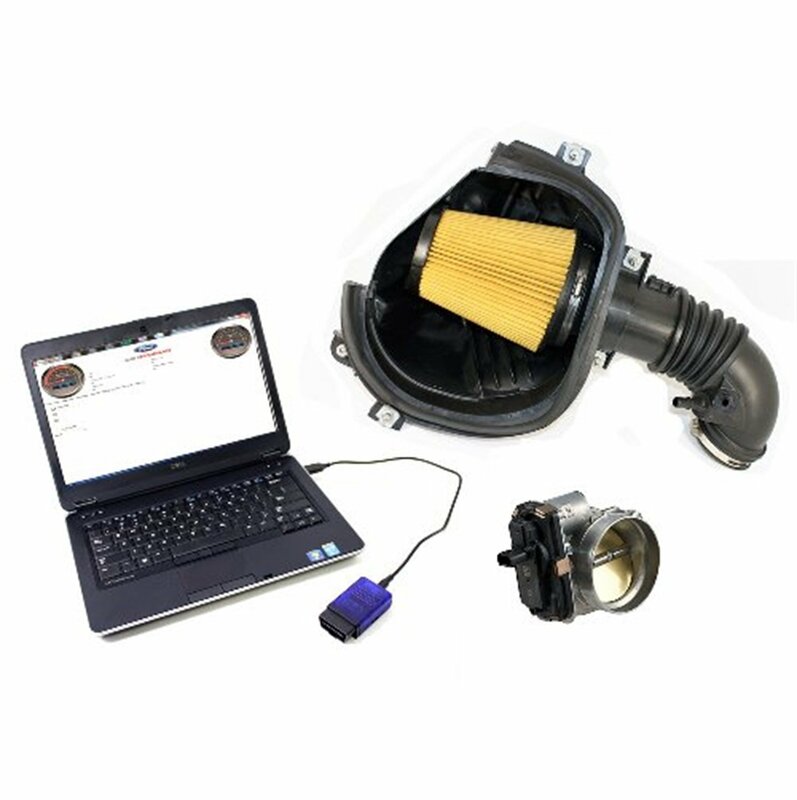 The Ford Racing M9603-M8A model is an original factory tuner for 2015-2107 Mustang GT cold air intake and power pack calibration. This is a very specific tuner model that comes with a GT350 cold air intake with an 87mm throttle body and exclusive intake adapter. 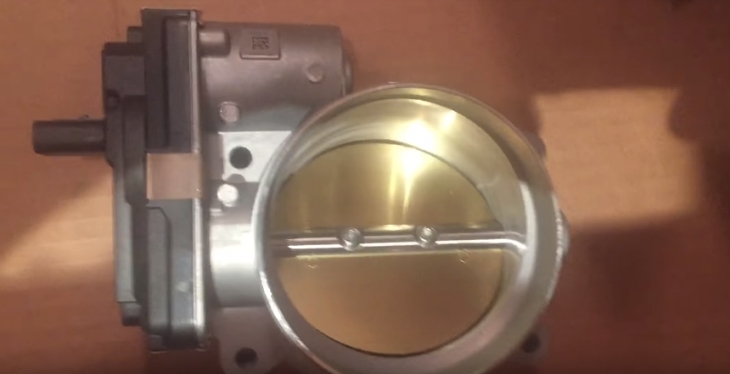 When applying this model, you will increase your performance by 21 horsepower and 24 lb-ft peak gains over stock, and get a 40 lb-ft gain at 1500rpm. This is an expensive focused model provided by Ford. If you want something that will provide a perfect upgrade, and are willing to pay for it, then this Ford upgrade kit is the one you want. 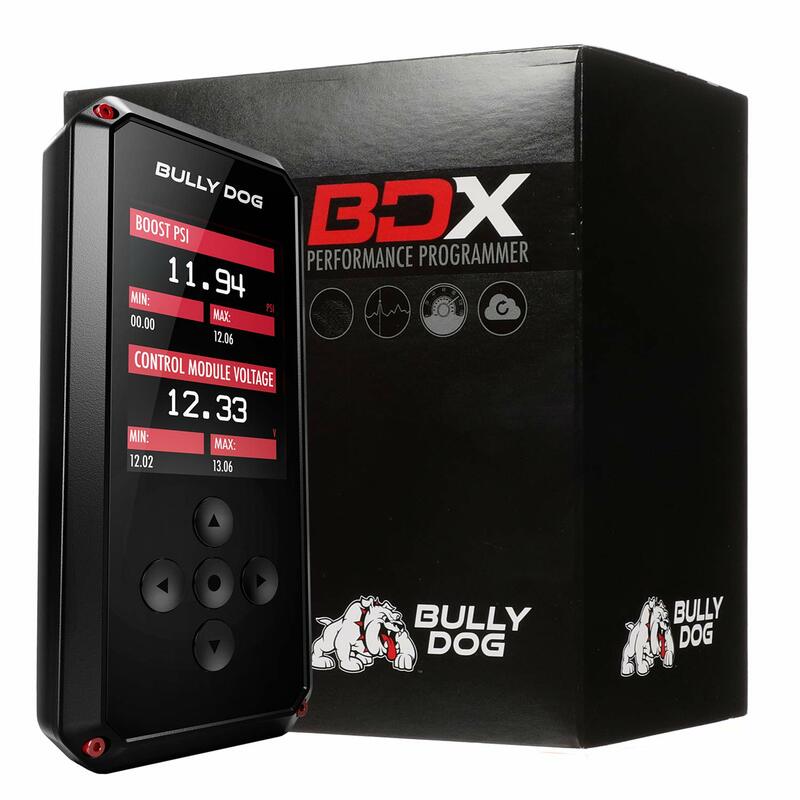 The Bully Dog BDX comes with a Mustang variant and comes with a cloud-based tune library delivered via WiFi. This model comes with a constantly upgraded and an updated cloud-based library of tunes and software. 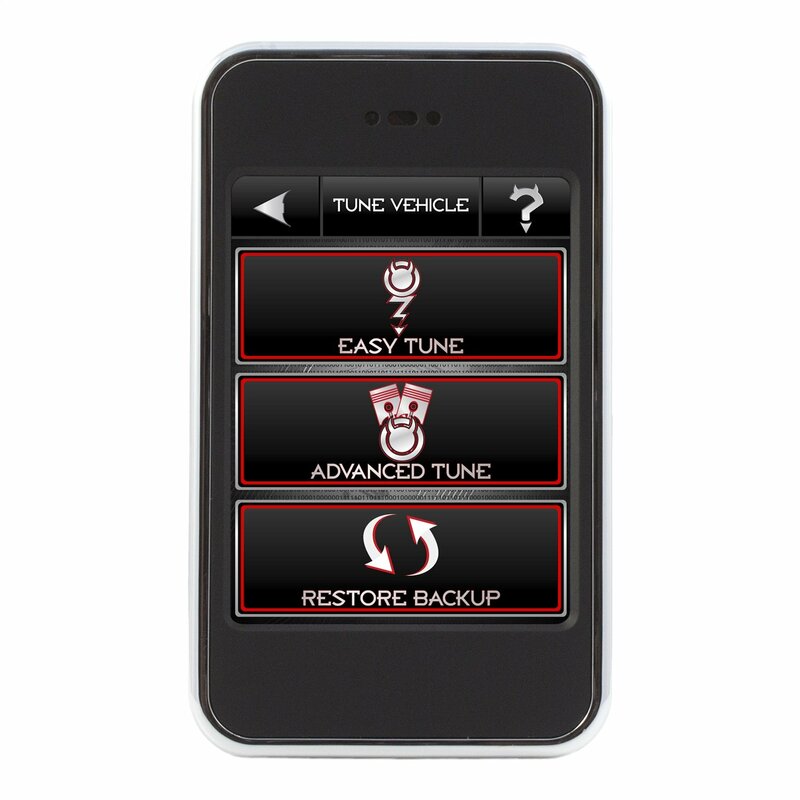 It provides extensive monitoring and data logging performance and will back up your factory tune. 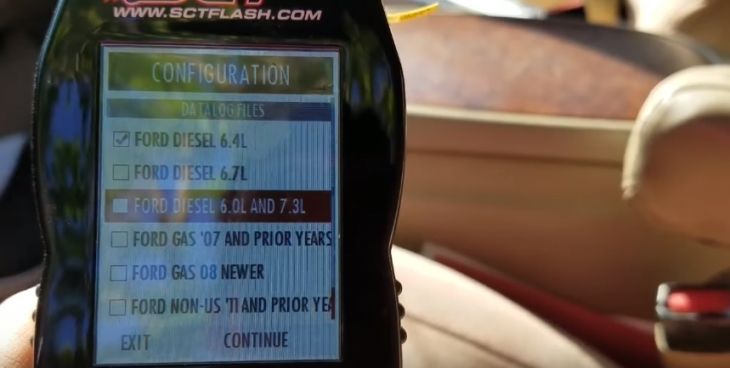 This is a very easy system to install and use, and once in place will read and clear all your PCM DTC’s as well as provide the tunes to tweak performance and power. You can also store up to 20 custom tunes for immediate changes without a WIFI connection. An exceptional model made by a famous and popular brand. If you stick to the preset tunes, you will never go wrong. 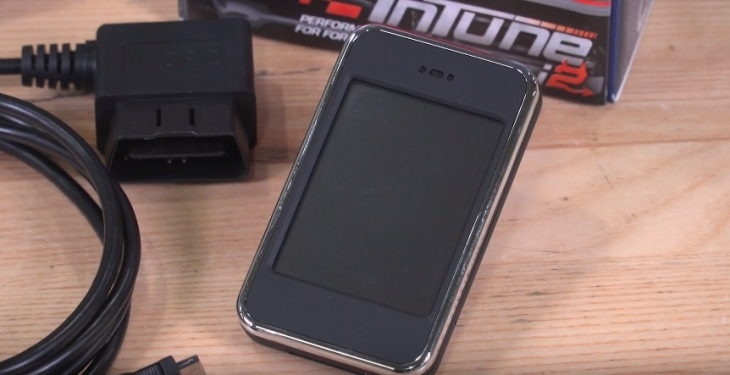 The I-2020 inTune i2 tuner is filled with preconfigured DiabloSport performance Dyno tunes. This model comes with a very nifty 2.8” touchscreen and is packaged in a tight, compact handheld device smaller than your average smartphone. Just connect it to your Mustang’s ODBII port, and it will start to sing. This model comes with the latest Sitara ARM processor, and 2GB of RAM memory and it is PC, MAC, and Linux compatible. This is a full diagnostic device that will read and clear all PCM DTC’s, and it also provides you with preset tunes for a comprehensive performance upgrade, or personalized tweaking for specific performance, which includes: calibrating speedometer and gear ratio, shift points and firmness, fuel injectors, fans, spark timing and RPM idle with rev and speed limiter adjustment to name but a few. This model are designed for use on all 1996-2017 Mustangs, but not the GT350 range. If you have any Mustang but the GT350 then this model will give you extreme control in a nice small box. This is an exceptional device from a well-known and respected performance company. 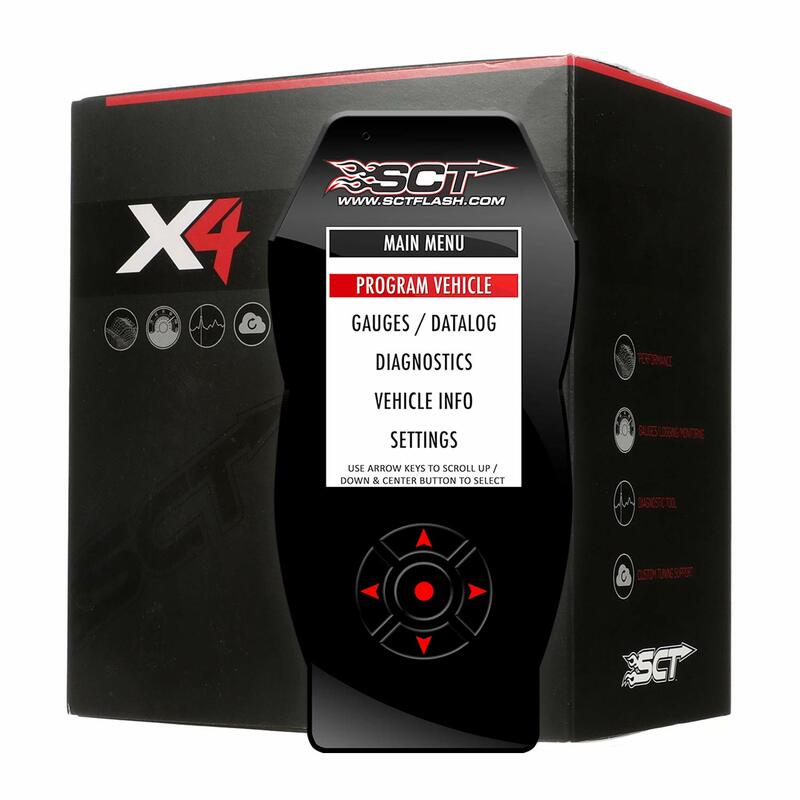 This is the SCT X4 Performance Programmer that comes with preloaded Dyno tunes. When it comes to comprehensive, its hard to beat the SCT Performance model, this one is specifically designed for Mustang and comes with a plethora of custom tweaking options. 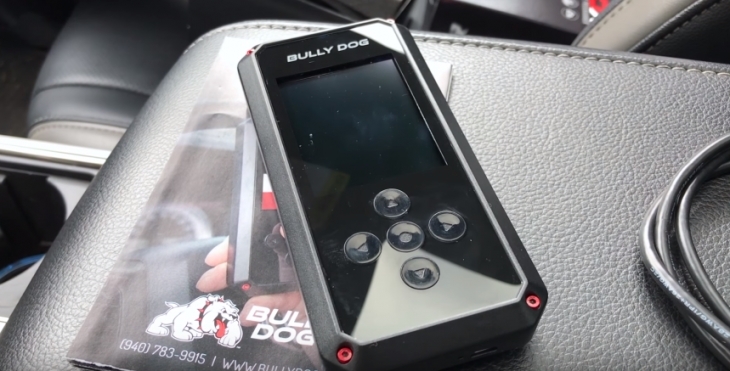 Apart from the custom controls, you get 10 preset tunes in memory and a full-color LCD display that is easily visible in the brightest of daylight hours. This model reads and clears all your PCM DTC’s as well as enables a quick restore to Factory settings. You can update the software and change your tunes through the USB link, and via the built-in WIFI adapter to the internet. This also provides live data logging when required. 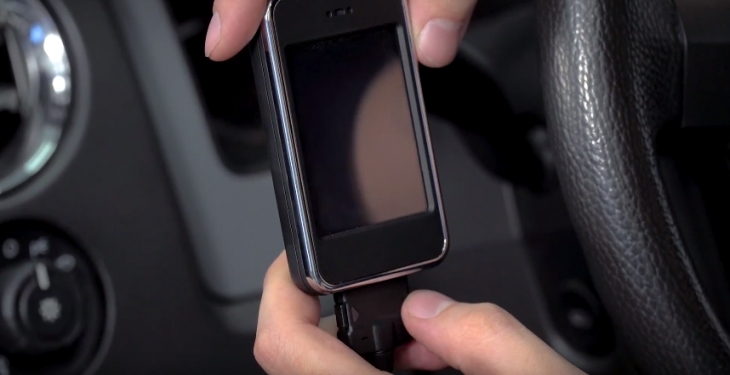 Installs quickly and easily via your vehicle’s OBDII port. SCT is a leading brand and a great supplier for custom tunes specifically for Mustang models, but also for all the Ford range. This particular model, the 7015 is designed for all 1996 and above Mustang cars. 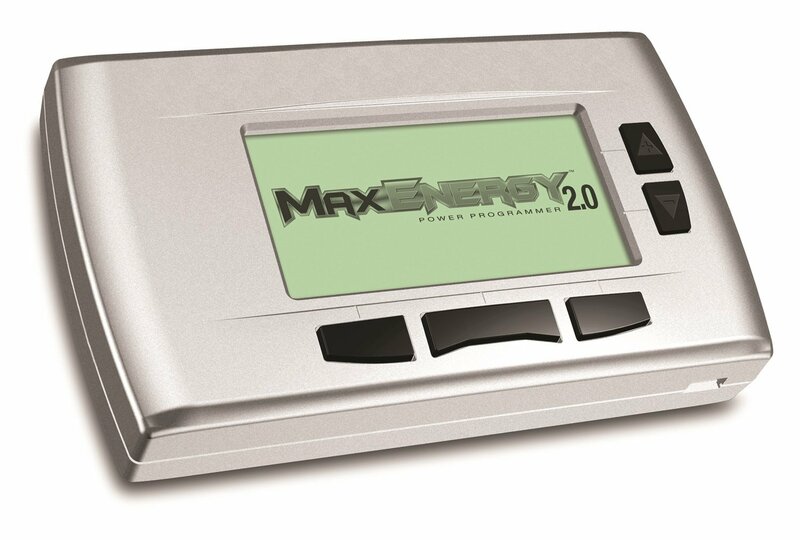 The Max Energy 2.0 Power Programmer is legal in all 50 states, including California. This device comes with specific Mustang tunes. The Max Energy 2.0 will provide you with Speedometer Calibration, TPMS Threshold, and Top-Speed Limiting, as well as provide you with Automatic Transmission Adjustments that includes Shift Firmness Tunes. You also get Shift Response tunes and TCC Slip Tunes. In fact, this device has a tune for everything, and you can focus on specifics, or on entire ranges of change. The Hypertech Max Energy 2.0 provides you with an updateable internet download, and you can restore your tunes back to the original factory settings too. The Hypertech Max Energy 2.0 is a classic universal device. This means that it can be used for any model, all you need is the right software and tune for the specific applications you desire. The original Ford Mustang I two-seater concept car was developed in 1962. From this day on the world of muscle cars changed. The original design evolved very quickly into the 1963 Mustang II four-seater concept car. These two launches were interesting, but it was in 1965 that Ford finally hit the market with their GT350 model. This model started with the Mustang fastback. Its designer Shelby added quicker steering, a sportier suspension, and larger brakes. It was powered by a stock 4.7-liter V8 engine that delivered a massive 306 horsepower by adding a high-rising intake manifold and a four-barrel carburetor. This 1965 model is a collector’s item and is one of the most popular Mustangs on the market. In 1968, Ford produced the first Mustang Cobra model which came with a 335 horsepower engine. In 1969, Ford introduced the Mustang Mach 1. The 1969 Mach 1 featured a new aerodynamic body called the SportsRoof which was supplemented with a 428 Super Cobra Jet V8 engine delivering 335 horsepower and 440 pound-feet of torque. While these figures were impressive back in 69’, they are still impressive today. In 1971, Ford followed through with a heavier version, and then in 1974 delivered the Mustang II, which was also named Cobra, but this was a smaller hatchback model with a 2.8-liter V6 giving 105 horsepower. The next big change came in 1984; the Mustang SVO came with a 2.3-liter turbocharged four-cylinder engine delivering 175 horsepower at 4,000 rpm and 210 pound-feet of torque at 3,000 rpm. This turbo four model delivered the same power as the 5.0-liter V8 but was much lighter. Enter the Cobra R in 2000; this is the Mustang SVT Cobra R. It was this model that finally propelled Shelby into the automotive hall of fame, and came as a limited edition. The years rolled on, and ion 2016, the all-new Mustang GT350R was introduced to the world. The Shelby GT350 Mustang was designed as a modern reflection of the original Mustang model GT350. What makes this model special is the 5.2-liter flat-plane crankshaft V8 engine which delivers an incredible 500 horsepower and 400 pound-feet of torque using six-speed manual transmission with a Torsen limited-slip differential. In 2018, Ford introduced the next stage Mustang; this is the 2019 Mustang Bullitt. This model comes in many variants, the core of this model is Its 5.0-liter V8 engine providing 480 horsepower and 420 pound-feet of torque to the rear wheels. However this model uses a six-speed automatic transmission. Tuners for Jeep JK – Guide For Owners!